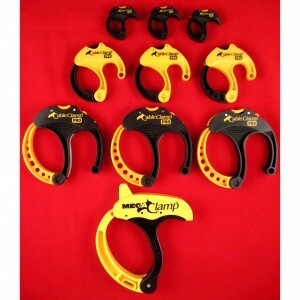 Cable Clamp PROs® are the ultimate Reusable Cable Management Tools. 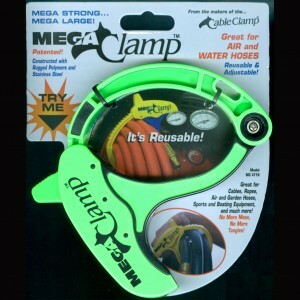 They combine all of the successful elements of the original Cable Clamps® with innovative new features to provide easy-to-use, reusable, adjustable, and rugged cable organizational solutions. This next generation organizational tool features Push Button Release, Carry Handle, Pop-Up Peg Hook D-Ring and Lanyard Hole. 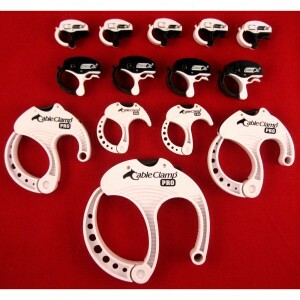 The patented hinge operation conveniently Holds Open Position allowing for Superior Functionality over competitors. Constructed with Polycarbonate/ABS polymers and Stainless/Spring Steels. 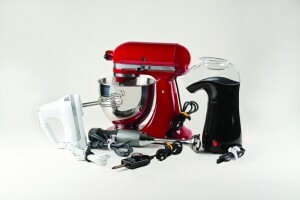 People find these products to be tremendously useful in organizing the many cables and cords used with their electronics, appliances, power tools, extension cords, etc. In fact, the new Cable Clamp PROs® build upon the more than 35 million clamps that have already been distributed for use in homes, shops, and offices. 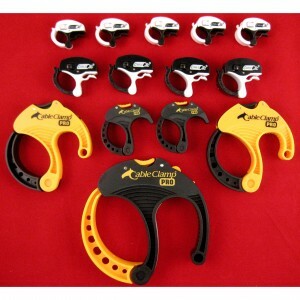 The patented Cable Clamp PROs® provide the organizational solutions, styling, and added features customers want today. 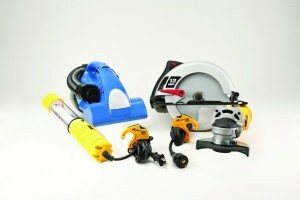 Currently available in three convenient sizes: small, medium, and large, all are designed to accommodate a wide array of applications, including organizing standard desktop computer wiring to bundling extension cords as long as 100’. 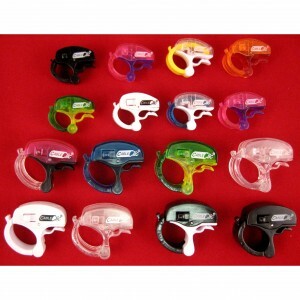 Additionally, it’s offered in an attractive assortment of colors and private labeling is available. 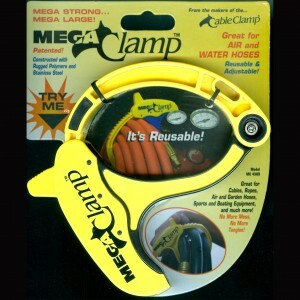 The MEGA Clamp™ takes the successful Cable Clamp® design and MEGA sizes it! This easy-to-use organizational tool is great for securing coiled cables, ropes, air and garden hoses. 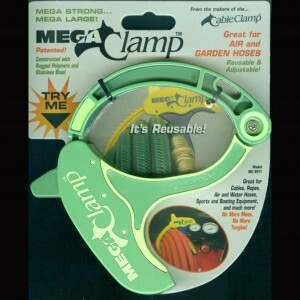 Constructed with durable polymers and stainless steel, the MEGA Clamp™ is self-aligning and forever reusable. 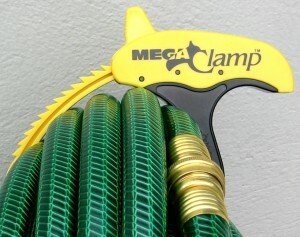 The MEGA Clamp™ is the large cord and hose management solution! 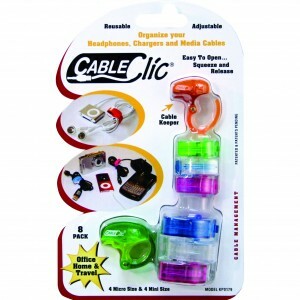 Micro and Mini Cable Clics® are reusable and adjustable cable management solutions for use with earphones, chargers, personal electronics, small appliances, travel, and office accessories. The new Cable Clics® feature an easy squeeze-and-release locking latch that readily opens with one hand. Constructed with durable UV resistant polymers and stainless steel the Cable Clic’s® pivoting arm moves in a unique arc offering abundant space to collect and unbundle cables and cords. Its integrated ”Cable Keeper” provides a convenient attachment point. Cable Clics® combine design, function, and durability producing compact devices perfect for organizing personal electronics and small cables. 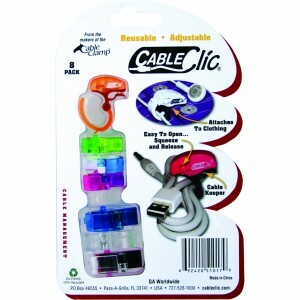 The micro Cable Clic® is for organizing bundles from 13/32″ to 5/8″, while the mini Cable Clic® ranges from 5/8″ to 1″. 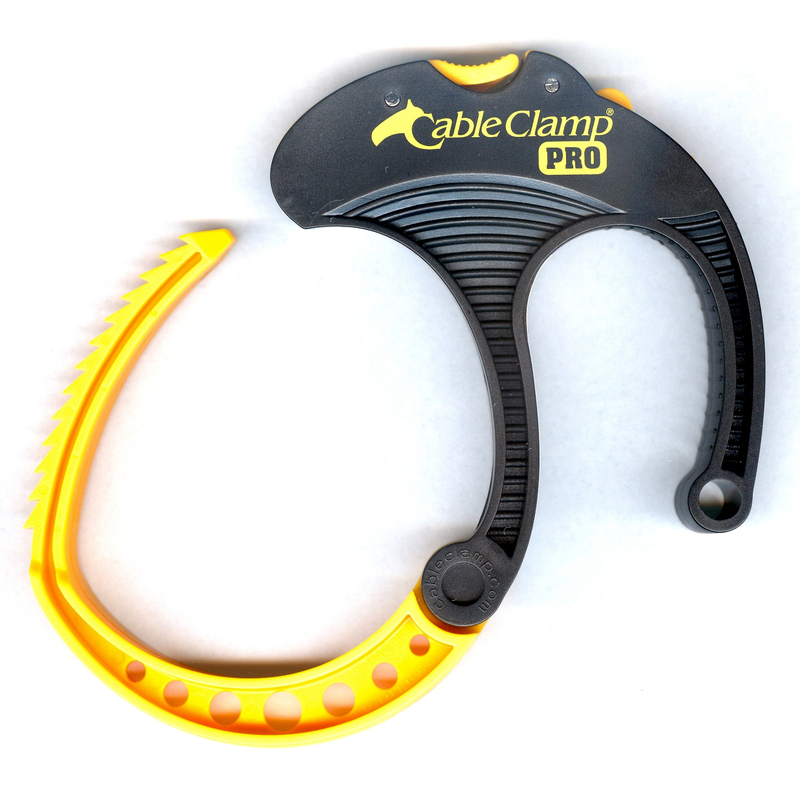 The Cable Clamp PRO® is intended to replace tape, nylon wraps, and hook & loop products, such as Velcro®, when securing, bundling, or transporting cords, wires, and a variety of other items. Constructed with durable polymers and stainless steel it offers the final solution to sticky residues left from tape; the deterioration of expensive and difficult-to-use hook and loop fabrics; and the elimination of one use/one way locks found on disposable wire wrap products. The reusable Cable Clamp PRO’s unique self-aligning, self-adjusting, and self-locking features allows it to be easily and rapidly engaged with a gentle squeeze on the jaws, and just as easily removed with a slight push of the specially designed trigger. 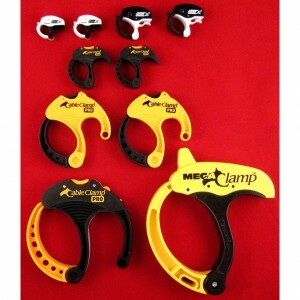 Each Clamp has up to thirteen adjustable settings and will not cause damage to sensitive systems such as CAT 5 or fiber optic lines since they cannot be over cinched.